I have the same but only on the rear ball joint and not so much as yours. Every part fitted perfectly, they still have an eBay shop. I personally wouldn't fit spacers where they were not designed to go. Will the vendor not change them or offer a refund? glad to hear that as I bought all my suspension parts from him. I'd compare the length of the threaded portion of the ball joint to your original. Shashi, If the problem stems from being an aftermarket part, IMHO a part that far out of spec should not be used. Can't be sure the metallurgy is correct or the taper is right. People do odd things in an attempt to make repairs like ream the knuckle taper. 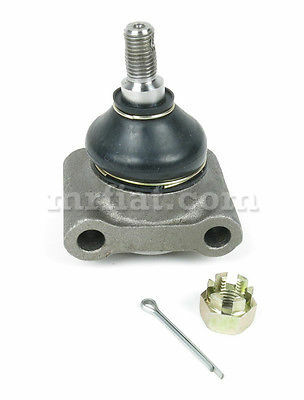 Do you have the old ball joint to compare the new one with? Is this problem only on one side or both sides? If you can determine the taper is correct and is fully seated top to bottom then you can probably get away with a spacer. Tapers are very specific. Ask any knowledgeable machinist. Where did the new ball joint come from? 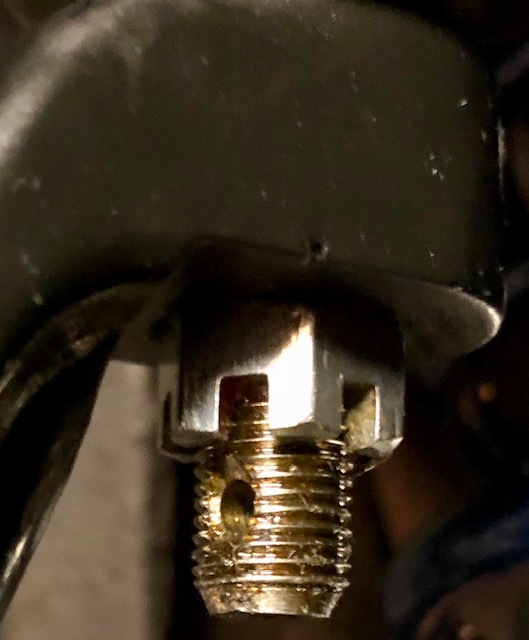 If not from a reputable vendor, I suggest buying a new one from reliable vendor to compare. Personally, I would not leave it that way without further investigation. Thanks. It is from a reputable vendor. I have an email and call out to them. Right now I swapped the spacer for a jamb nut. That just looks all wrong, a Pantera specific front upper ball joint doesn't even have that much thread. Just wondering if you heard anything back or found something? I have not. I will try them again. They are one of the big vendors so I did expect a response. 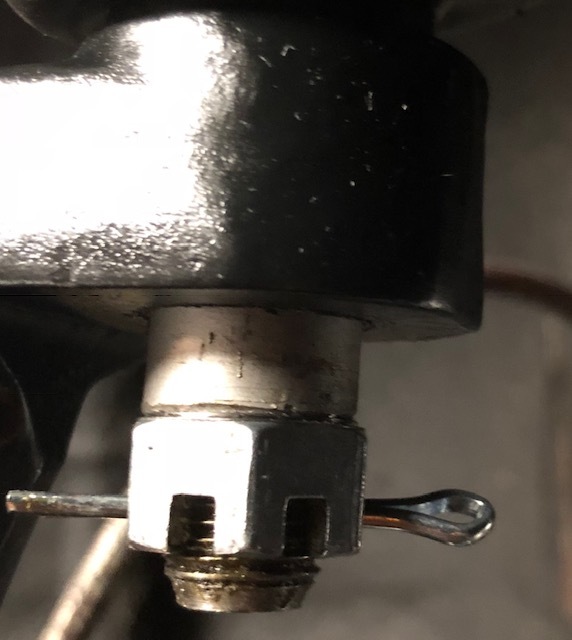 Some say to not use a spacer between the nut and tapered stud. The reason is, this repositions the front suspension relative to the chassis (actually, it changes the Instant Roll Center), altering the handling. Special ball joints with longer (or shorter) tapers are available to do exactly this, at extra cost. They are routinely used in dirt track racing. The upper rear ball joint Instant Roll Center usually does not affect handling that much. The effect is more noticable on both ends as cornering speed increases. I say, try it- depending on how you drive, you may actually prefer the geometry this way, or not notice it at all. A decade or two ago I adapted 67-89 Chrysler-type upper ball joints to our Pantera (same taper) and had to do what to me was minor machining on the tapers to adjust all six to my liking. They're still on our car. Good luck. Who, may I ask, is the vendor? To be honest. I would rather not share the vendor name. I will give the ball joints a shot like bosswrench said. If I don’t like them I will push harder with the vendor.